Music track: "Spirited Away", etc. 1. 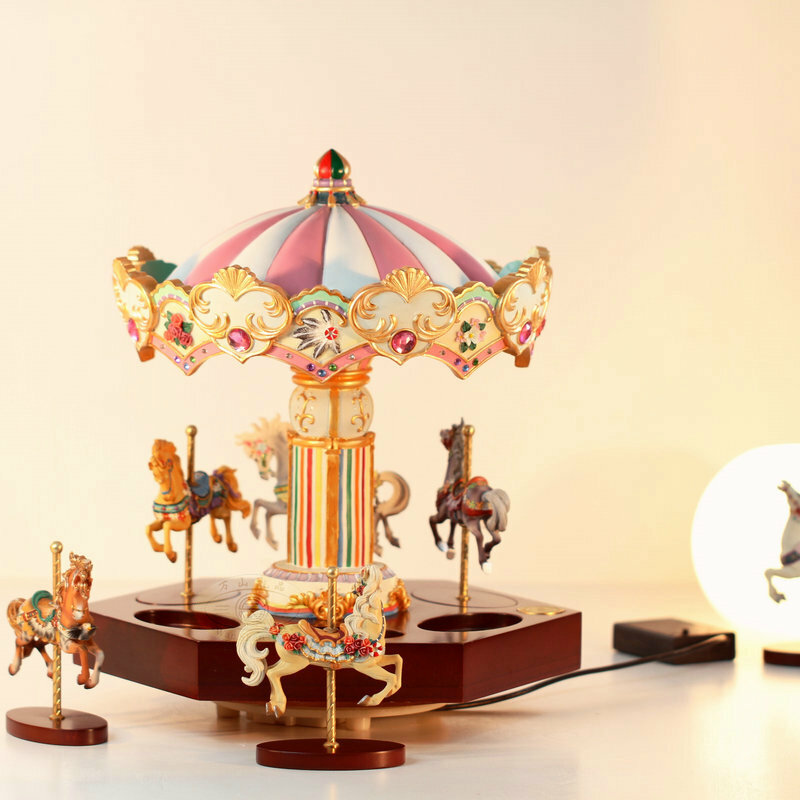 Deluxe Carousel: Luxury carved three Trojans, spin action is different, upgrade and automatic loading and movement around the rotation. Every detail by senior technicians carving, gilt trim, full European retro addictive. 2. pavilion fence: beautiful carved craft, it can also DIY plugged up couple photo family photographs or baby photos, especially romantic. 3. Clockwork cover design: When you rotate the cap clockwise clockwork, music will automatically play the horses will automatically lift up and down and left and right movement, then spin. 4. The bottom of the design: When you rotate clockwise bottom Clockwork Music Box will automatically play another track (this spring not drive horses rotate). There is also a bottom lights switch, turn on the music box will slowly change different colors of light, very beautiful.